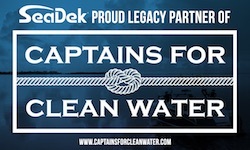 Rockledge, FL (February 8, 2018) - In keeping with their commitment to environmental issues that directly impact the marine industry, SeaDek is excited to announce their official partnership with Captains for Clean Water as a Legacy Partner. Captains for Clean Water has been aggressively advocating for a water management solution that would restore the natural flow of freshwater back through the Florida Everglades, reinvigorating Florida Bay, and alleviating catastrophic discharges into the St. Lucie and Caloosahatchee rivers. After joining Captains for Clean Water in Tallahassee last year to fight for the passage of Florida Senate Bill 10, which directed the expedited design and construction of a water reservoir in the Everglades Agricultural Area (EAA), SeaDek is proud to bolster their relationship with the organization, with eyes on the challenges that lie ahead in the struggle to restore Florida's waterways. "SeaDek is made up of fishermen, surfers, boaters, and outdoor enthusiasts, so being that the water is where we choose to spend our lives, these issues are of the utmost importance to us," said Jason Gardner, VP of Marketing at SeaDek. "In addition, water quality is intrinsically linked to the success of our business. If people aren't boating due to unpleasant or unhealthy water conditions, every aspect of the marine industry is affected, from boat builders to marinas to component manufacturers such as SeaDek." "We are very excited to be partnered with SeaDek," said Chris Wittman, Co-Founder and Program Director of Captains for Clean Water. "Last year, significant progress was made in the fight for Everglades restoration. The fishing and boating industry was the catalyst in making that happen. As a leader in the marine industry, SeaDek's involvement with Captains for Clean Water will bring tremendous value in furthering our mission and inspiring others to be engaged in the efforts to save Florida's marine ecosystems." SeaDek joins other industry leaders such as Costa, YETI, Mustad, Orvis, and Simms in their support. Captains for Clean Water is a grassroots 501(c)3 nonprofit organization that advocates for the elimination of harmful, large-scale Lake Okeechobee discharges into the Caloosahatchee and St. Lucie River Estuaries by restoring the natural flow of Lake Okeechobee water south into the Everglades and Florida Bay. Restoring the natural southern flow of Lake Okeechobee water is essential to the survival of our estuaries, the health of the Everglades, and the long-term viability of South Florida's largest drinking water source (the Biscayne Aquifer). Initially formed by a group of fishing guides from Fort Myers, Florida that had grown frustrated with Florida's poor water management practices, the organization employs political activism, public awareness campaigns, and evidence-based solutions to promote positive change for Florida's waterways. Learn more at https://captainsforcleanwater.org/. 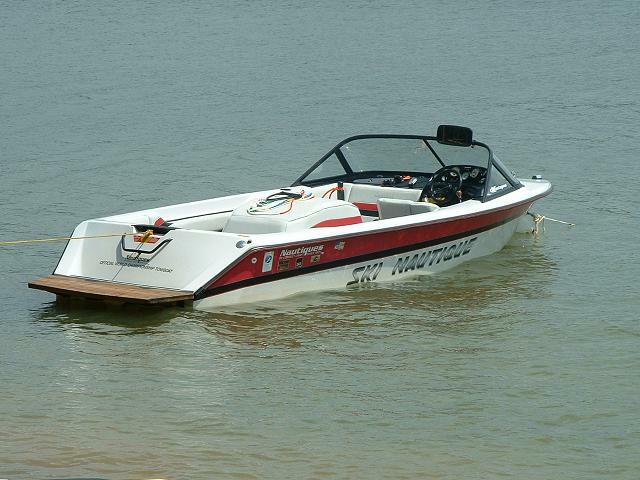 SeaDek manufactures a wide range of PE/EVA non-skid products for OEM boat builders, aftermarket customers, and dealers. In addition to custom products, SeaDek offers an extensive line of retail items, including DIY sheet material, anti-fatigue helm station pads, coaming bolsters, and more. As a safe and comfortable alternative to molded-in non-skid, paint-on textures and other marine traction products currently available, SeaDek provides exceptional traction and aesthetically pleasing stylistic options. Made from UV protected non-absorbent PE/EVA foam, SeaDek utilizes an acrylic-based 3M™ pressure sensitive adhesive for a lasting bond and simple peel-and-stick application. In 2014, SeaDek became an employee owned company with the implementation of an ESOP profit sharing plan. With a wide array of colors, textures, and thicknesses available, there is a place for SeaDek on every boat. Learn more at http://www.seadek.com.